When you’re serious about ensuring that your child develops intellectually, keep the artistic arena in mind. Art is an incredibly creative and mentally stimulating domain, and teaching your children about it can heighten their cognitive development. In light of this fact, consider sharing the art of an individual such as Robert Rosenkranz with your child. Robert Rosenkranz’s photography is rife with color and meaning that your child can consider carefully and learn a lot from. Other opportunities you have to emphasize art with your child come in the form of taking him or her to the museum. Reading with your child is another effective way to help them develop intellectually. Children undergo a great deal of mental expansion when they read. In addition to expanding their vocabulary, reading empowers children to learn more and more about the world around them. When you select books to read with your children, try to go for literature that covers topics they’re interested in. Yet another strategy you can implement to ensure that your child develops mentally is to be a model. When children are young, the “Monkey See, Monkey Do” motto is often quite prevalent in their consciousness. As such, they will oftentimes mimic your behavior. Thus if you’re constantly in the habit of expanding your own consciousness through things such as reading and going to the museum, these tendencies will likely rub off on your child. One final thing to think about when you want to expand your child’s intellectual capacities is the importance of making learning fun. Unfortunately, many children view learning as a chore, and this is a great part of the reason that a lot of young people loathe things like going to school, writing papers, and reading. In order to undo this negative disposition towards learning, it’s important that you show your children that learning is fun. This objective can be accomplished in numerous ways, such as purchasing humorous learning activities, letting them learn with friends, selecting books by authors they love, etc. One of the most important things that a parent can do is help their child develop cognitively. 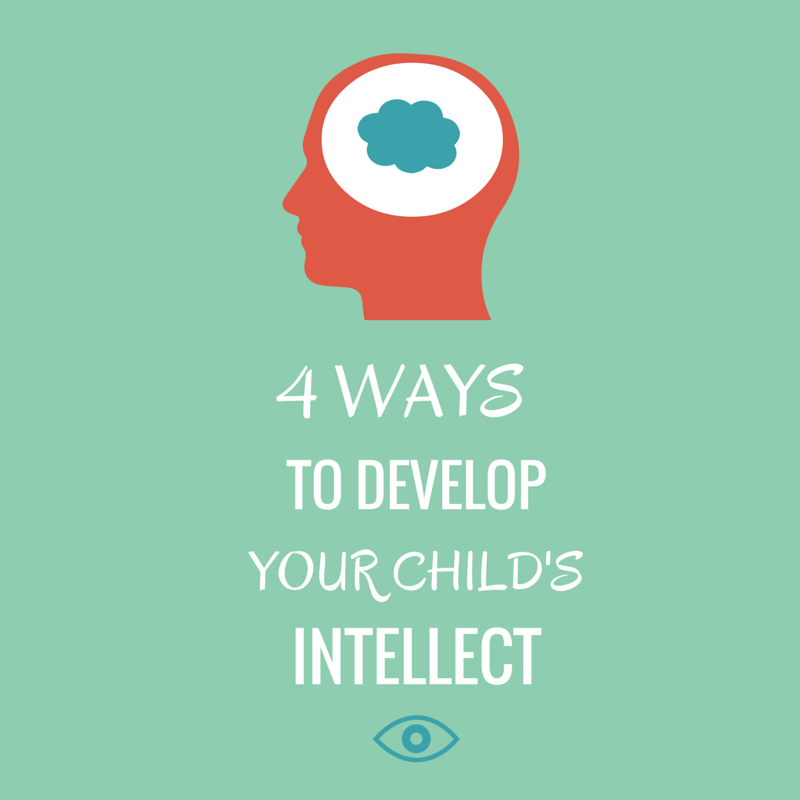 When you help your child grow as an intellectual being, you heighten his or her chances of developing high self-esteem and succeeding socially. Since this is the case, be sure that you utilize some or all of the strategies listed above to help stimulate your child’s intellectual growth. As a parent educator, Number 4 is so key to lay a foundation for your child’s learning pattern.